Power broom attachment is equipped with high pressure nozzles to clean 4X faster than standard nozzles. Brass head axial cam pump lasts 2X longer than aluminum head pumps. Rated 4 out of 5 by Ploofer08 from Very well built product! I bought my 3200 speedwash last year. It's worked great! The quality seems excellent. I've used it about 4 times. The only knock is I'm pretty sure there was no hose hook in the package. I should probably reach out to Generac about that. I plan on using it this summer to do my house. Rated 5 out of 5 by Jimg from General Contractor Review I have use electric power washers in the past and they were limited for my uses. I like my new Generac for many reasons; easy start; very portable; the wand selector is awesome feature; the power is really consistent . I would recommend this model to anyone from home owner to contractor. Rated 5 out of 5 by Sloneasy from First Pressurewasher This is my first experience with a pressure washer and I am glad that I chose Generac. This unit starts every time and delivers the pressure to get things clean. I did have a problem with the broom and Generac replaced it immediately. Customer service was great and made me happy with no problems. The wand that came with the unit was 20" and a bit short for using floor cleaning accessories. I have ordered a 32" wand direct from Generac and awaiting its arrival. 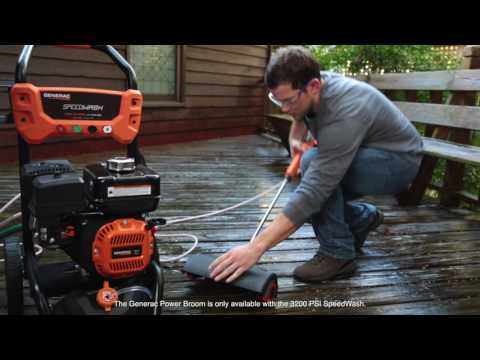 Rated 5 out of 5 by Scott70760 from Great buy Really good pressure washer. Cleaned all the mud off my vehicles very fast an the power head worked great cleaning the house an the concert driveway. Rated 2 out of 5 by Handymanministry from Electric Start Failed After Second Use I purchased the electric start pressure washer Dec 6th from Home Depot online. I unoacked, read directions, and checked the unit; all was well. I used once for 1 hour. Second use the electric start woukd not work. Coil start works. Reason fir ourchase was electric start. Older generac hard to start with pull coil. I am very disappointed and now I have to take the unit to a dealer for repair. Clearly an electrical problem. Purchased fir church handyman ministry. Rated 5 out of 5 by Liveright from Great product! Love my new pressure washer. The attachments are awesome and this thing is powerful. Fires right up and be careful in using the correct attachment/novel, this thing will take the paint off your car if your not careful, lol. 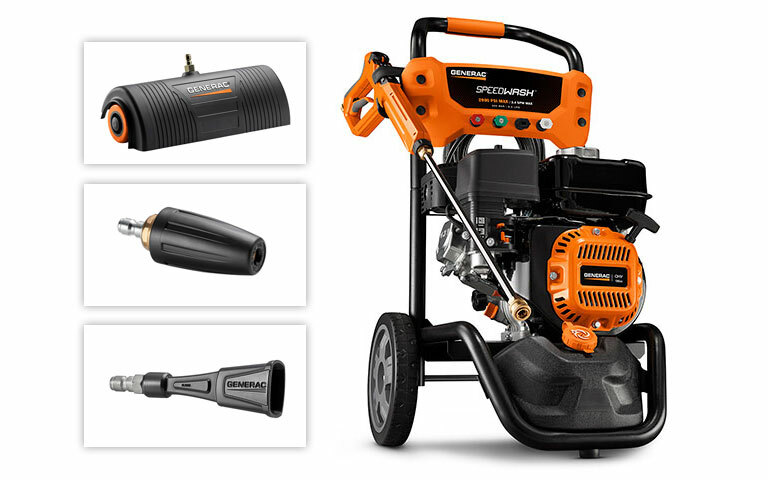 Speedwash 3200PSI Pressure Washer System 7122 is rated 4.6 out of 5 by 63.